La Dolce Vita: Style your Nest & Win a Trip to the Southern Living Idea House! 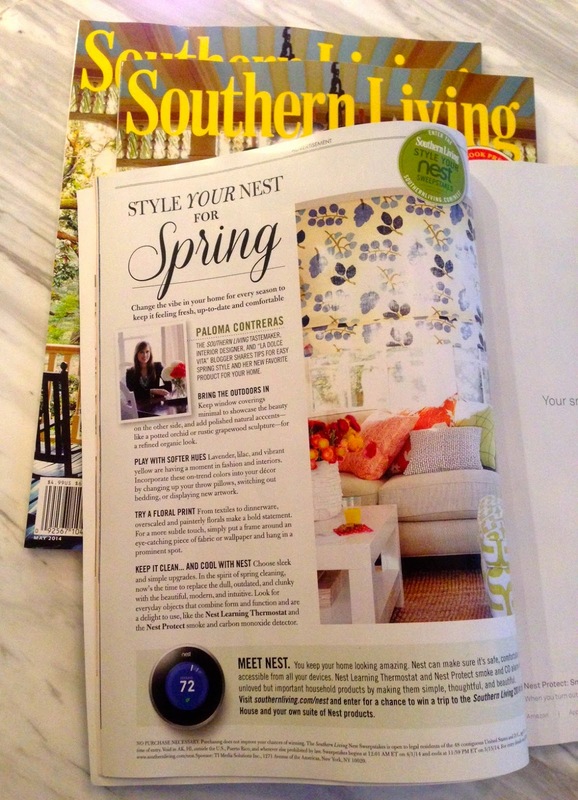 Style your Nest & Win a Trip to the Southern Living Idea House! A lot of exciting things have been happening for La Dolce Vita and Paloma Contreras Design this season. Most recently, I have teamed up with Southern Living and Nest in giving readers tips for how to "Style your Nest" across the seasons. 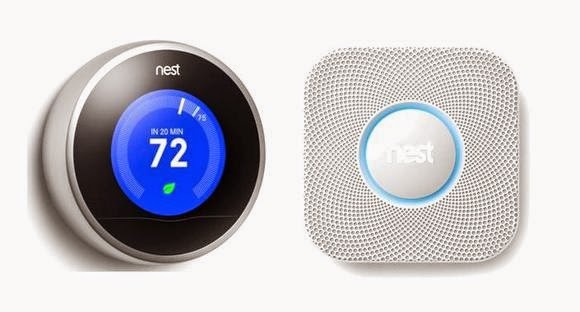 If you aren't familiar with Nest, it is an innovative company that blends style with functionality in essential products for the home, including their amazing Nest Thermostat and their new Nest Protect Smoke + CO Alarm. The Nest Thermostat learns your schedule and preferences, programs itself, and can be controlled directly from your smart phone. It doesn't hurt that it is sleek and so much more attractive than any other thermostat out there! Nest Protect is intuitive and does so much more than send out annoying, ear-piercing beeps. Instead, it speaks to you to let you know what's going on, it can be silenced with the wave of your hand, and works with the Nest Thermostat to keep you and your family safe, automatically turning off your gas furnace (a possible source of carbon monoxide leaks) in the event of an issue. Fabian installed both products in our house and we are loving them both. Luckily, the smoke alarm hasn't gone off yet, but the Nest Thermostat makes keeping our house cool a breeze. My favorite feature is being able to adjust the temperature from my iPhone, which will come in handy this summer, if we're running around in the Houston heat and want to ensure that the house is nice and cool when we get home. Good luck! Have you tried any of the Nest products? That's fantastic, Gigi! It's done the same for us and my husband thinks it's the coolest gadget ever. Did you decorate the room posted in this picture? Where can I find those curtains?